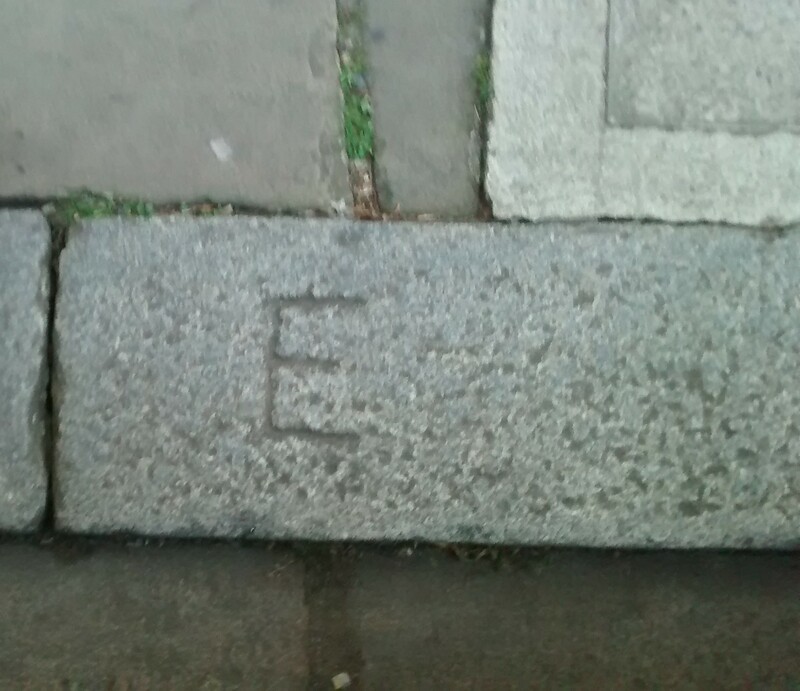 We all travel around London heading to our destination and probably not noticing the history on the pavements of our streets. Much of course is modern and ever changing. 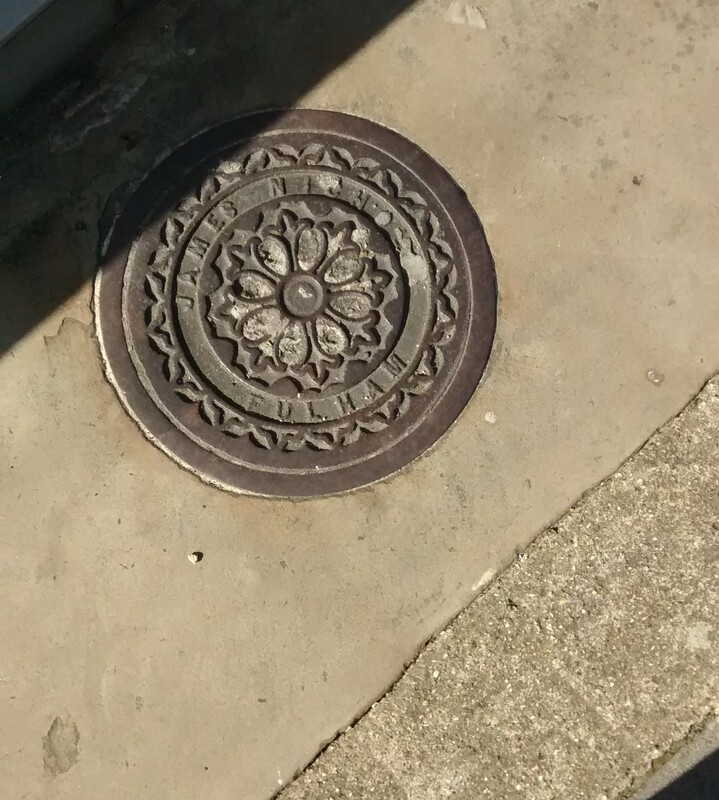 The Victorian pavements clearly had stone paving as can be seen where there are still coal-hole covers set into the stone. Elsewhere the concrete slabs have taken over. 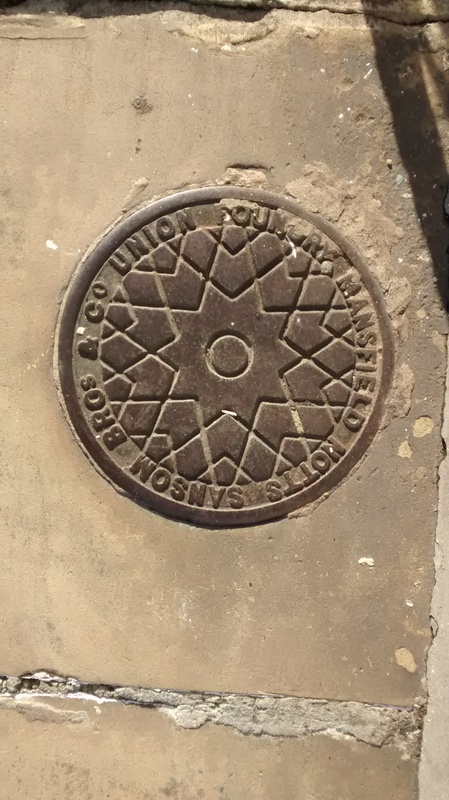 These coal-hole covers themselves vary from the generic mass produced versions to those bearing names of local purveyors. 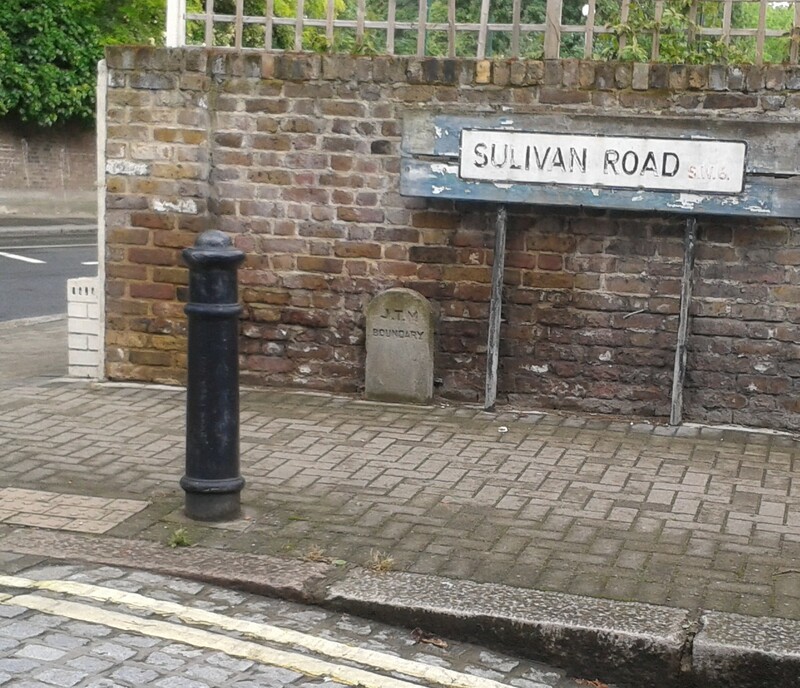 These are all from Fulham streets in a very small area. 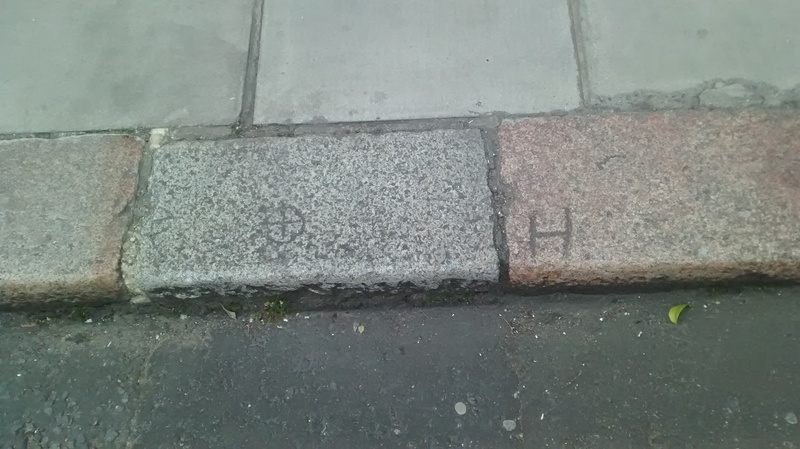 There are also markings on kerb stones: these in Munster Road are believed to mark the pitches of the now defunct street market. They consist of a series of arrow head inscriptions about 15 feet apart with a number inbetween. Some are more difficult to understand such as this one on Hammersmith Terrace we saw when viewing St Peter’s square and Black Lion Lane area earlier in the year. 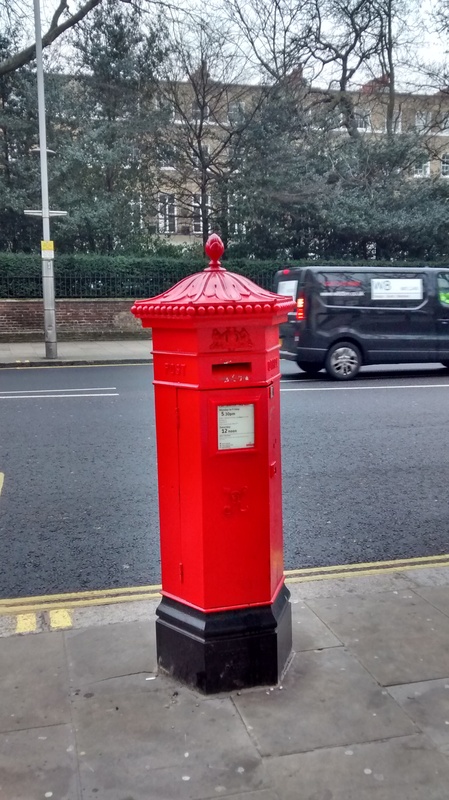 – possibly long gone utilities? 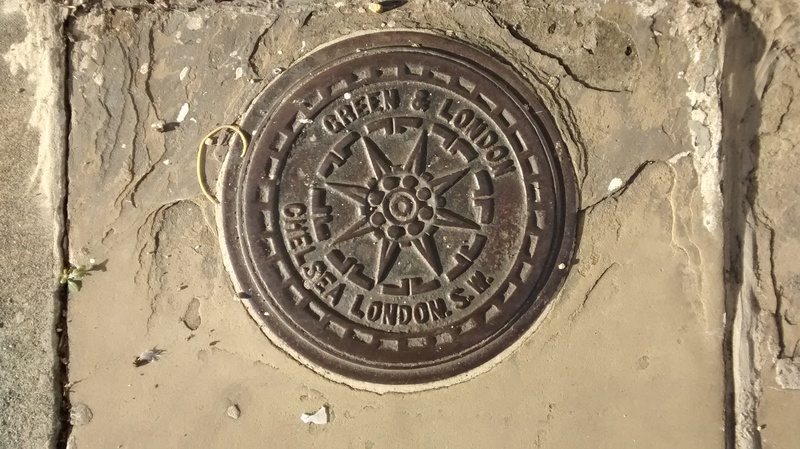 More modern are the utility manhole covers; for example you can see the morphing of GPO to Post Office Telephones, British Telecom, BT and Open Reach. The water companies show a similar pattern of change from local utilities to a modern day giant company. This boundary stone doesn’t seem to relate to known land owners so there is a story to discover here. 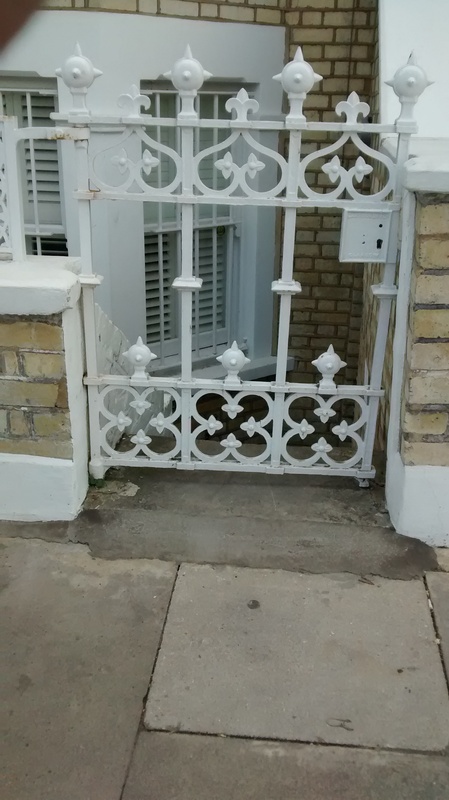 or this original gate on Bloom Park Road although sadly not many of these are left. The original lock plate is still in place containing the mark of its Glasgow makers. Britain was a very connected society even then. 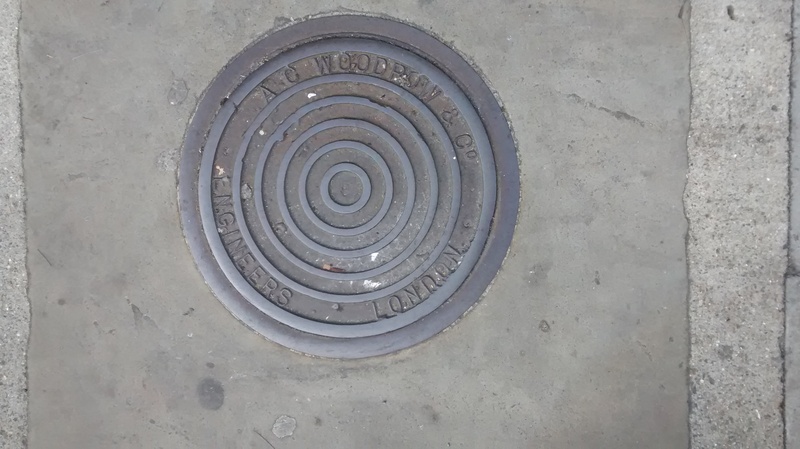 So our London streets can reveal their history even on a walk to work or the shops. This entry was posted on Wednesday, September 5th, 2018 at 6:22 am and is filed under Sightings. You can follow any responses to this entry through the RSS 2.0 feed. You can leave a response, or trackback from your own site. Really enjoyed these, thank you. Thank you – this local history at out feet is intriguing. 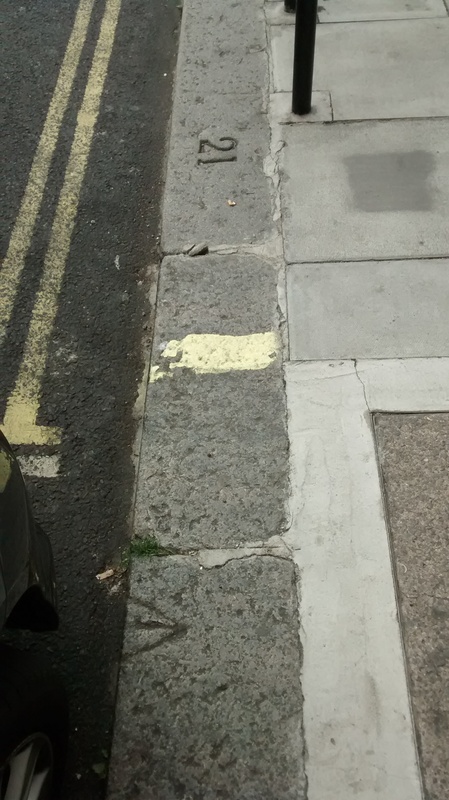 I particularly like the kerb markings in Munster Road. Are they the so-called ‘Government Broad Arrows’, such as we see on the wall of what was once the Victorian ‘Womens’ Reformatory Prison’ in Burlington Road, SW6?